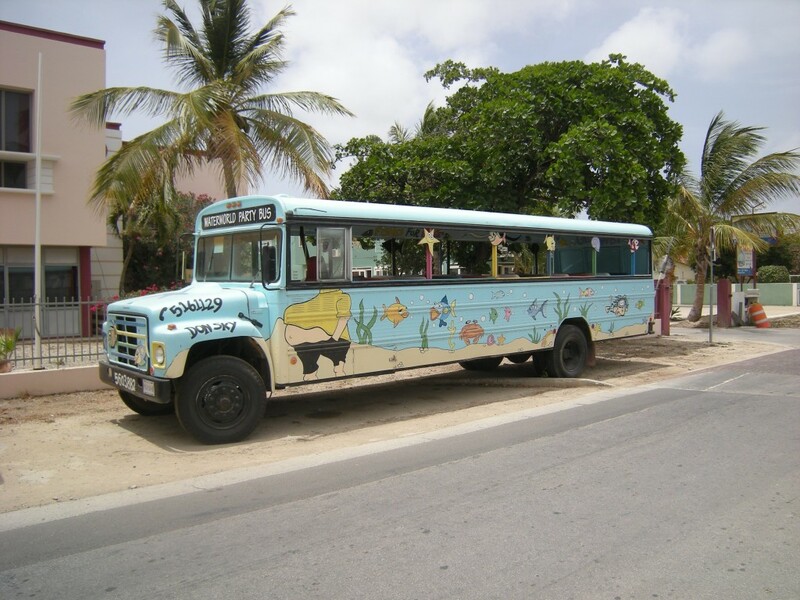 A fun way to celebrate a special occasion on the island of Bonaire, is to load up a bunch of your friends and board a party bus. It’s a lot of fun to watch the buses drive by and see the excitement of a party going on inside! 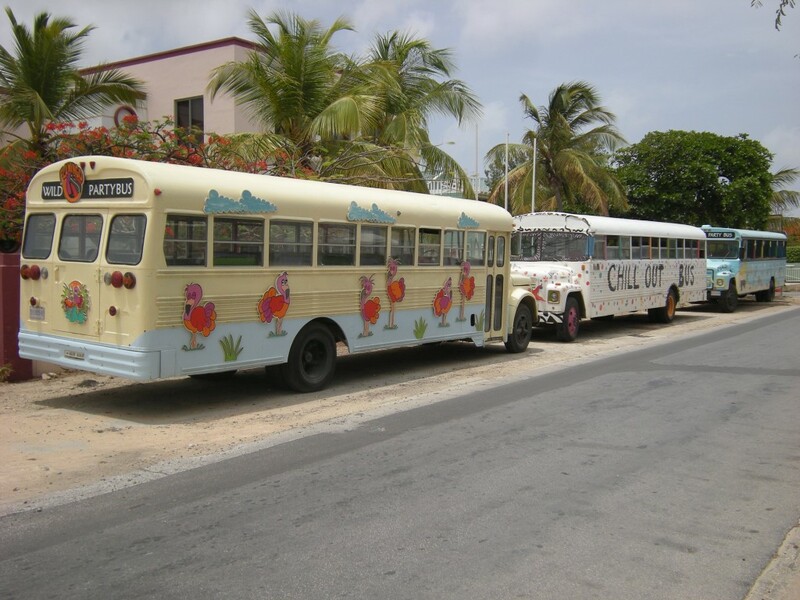 These three buses are ready and waiting for the next party! I decided to hang out with the flamingoes. 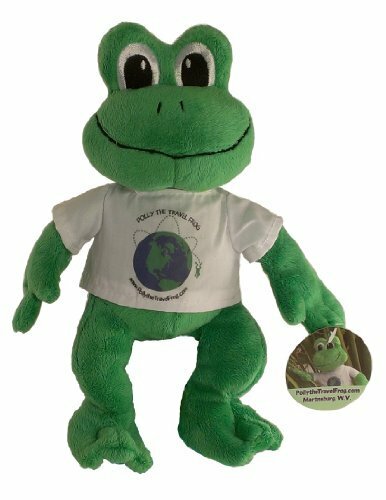 You may think they are shy, but they are always ready to have a good time! 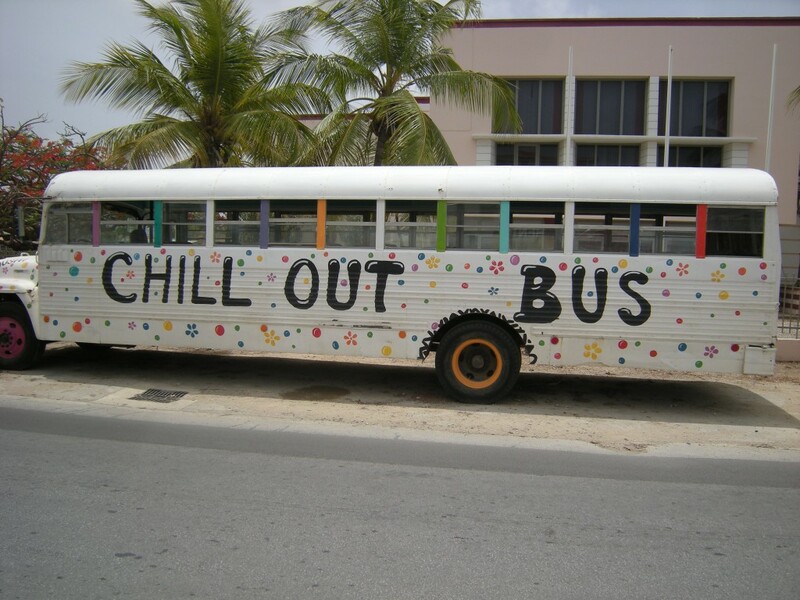 I don't think there will be much chilling going on when this bus gets going! 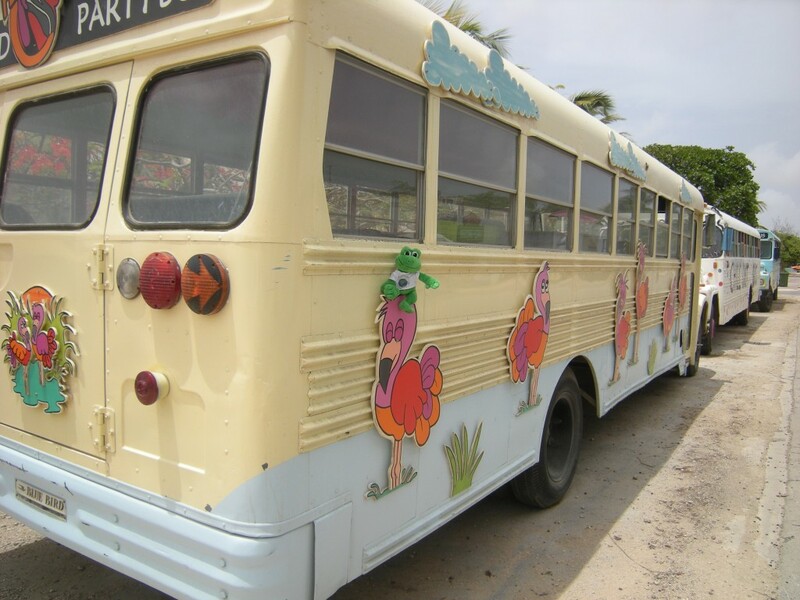 The perfect bus for a party at the beach! Party like a rock star…totally dude!